By switching to Qualtrics, Alcoa cut the costs of its CX program by 50% and was able to develop customer-focused action plans months faster. With approximately 59,000 employees in over 30 countries and $24 billion in annual revenue, Alcoa is a global leader in lightweight metals technology, engineering, and manufacturing. As an example of the company’s dominance, more than 90% of all alloys on today’s flying aircraft were developed by Alcoa. Before using Qualtrics, the company relied on a costly third­-party vendor to administer its CX program. Aside from expenses, that vendor offered little flexibility in how surveys were administered, and Alcoa often received results months too late to formulate meaningful action plans. Faced with an unjustifiable price tag and NPS improvement efforts that had plateaued, Alcoa turned to Qualtrics, a decision that gave them the speed, depth of insights, and ROI they had been seeking. Qualtrics gave Alcoa the means to direct every aspect of their CX efforts from within. The company rolled out a program for each of its customers involving three main surveys: an annual relationship survey, a transactional survey administered at the time of a quote, and a second transactional survey at order fulfillment. Qualtrics’ superior platform allowed Alcoa to dive in and analyze data collected through these surveys in real time. Equally important, Qualtrics’ case management helped the company capture and resolve service issues beyond their customers’ expectations on an ongoing basis. Custom dashboards built by Qualtrics delivered complete visibility across the organization so that everyone with the ability to improve the customer experience had access to the information they needed to fuel their efforts. The end results of the switch to Qualtrics? 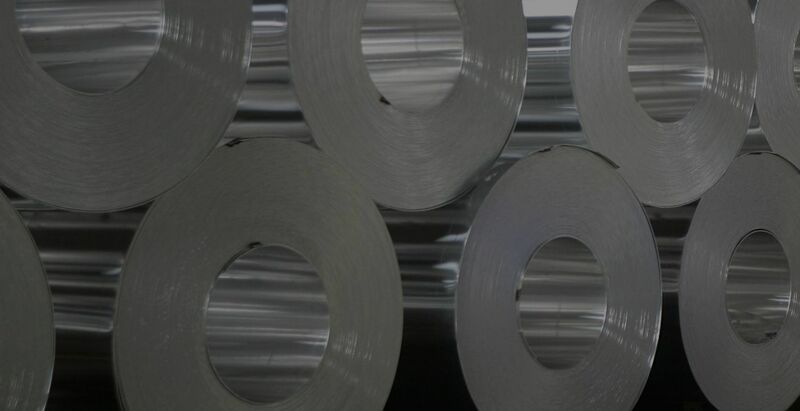 Alcoa cut the costs of their CX program by 50%, and were able to develop action plans based on the data they received months faster, improvements that helped the company achieve a 2:1 ROI on its program. The NPS results were just as impressive ­- Alcoa benefitted from a 13-­point increase in NPS, a target that the company had strived for but had never been able to achieve. Qualtrics enables you to measure and improve every interaction with your customers. From the moment customers engage you online or offline, you can quickly provide the information, support, and follow-up that leads to lasting satisfaction. You can also regularly assess the overall relationship and use automated workflows to respond to customer issues in real time. Qualtrics integrates with your CRM to ensure that each company representative has the latest information about customer interactions. We empower you to deliver a buyer experience that keeps your customers satisfied from initial evaluation, to purchase, to reorder. 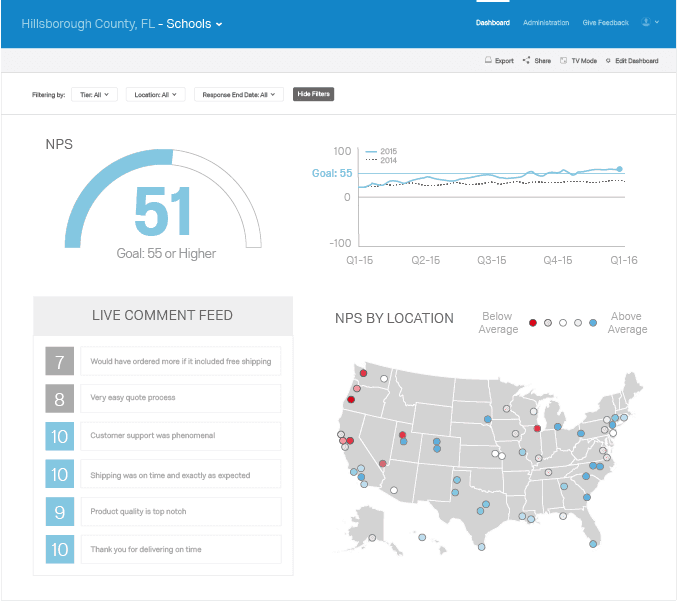 With Qualtrics’ Bain-certified NPS questions and robust, role-based dashboards and reporting, you can quickly gather customer feedback and visualize insights that expose the drivers of customer satisfaction and experience. Target the right buyer profiles at the right time with relevant content, help, and opportunities to provide contact information. Ensure all customer engagement data is synced and immediately available to the right employees. Enable automated tracking of identified service issues and assign them to the right people within your organization. With Qualtrics’ Bain-certified NPS, you can combine in-moment and long-term customer satisfaction feedback to accurately measure and improve customer experience. Engage visitors to understand exactly what they are looking to find and understand, then provide the targeted content, event invitations, and offers that encourage conversion. Allow visitors to give feedback on your website content, holistically or on a page-by-page basis, so you can pinpoint where improvements are needed. Capture customer satisfaction metrics related to individual transactions or overall satisfaction. Improve your call center operations with real-time customer feedback that makes coaching simple and helps you make more informed decisions. With dynamic, role-based dashboards and mobile analytics the right people get the real-time data they need. Ad-hoc surveys that capture insights immediately after specific customer interactions. Cross-sell other products or services at those moments to increase share of wallet. To take over the top spot in your industry, you need to know your market, identify emerging opportunities, and take advantage of them before your competitors do. That requires knowledge of what customers want and care about most. Use Qualtrics to track trends in your prospective or current industries, test the effectiveness of promotional campaigns, and make changes to your offerings based on real-time input from customers. From new product development, to campaign measurement and competitive benchmarking, we provide you the capability to win your market. Qualtrics gives you access to the most sophisticated and flexible survey platform on the planet. With the ability to build the exact questions you need to build, and access to every distribution channel, our technology allows you to run research projects as fast as you can think of them and capture almost any insight imaginable. Qualtrics gives you the tools you need to quickly collect customer preference data and perform conjoint analysis. Understanding buyer preference and behavior has never been so easy. Understand the value your customers attach to unique products and services offered by your business. Optimize the customer experience without breaking your budget. Track customer behavior across unique segments. 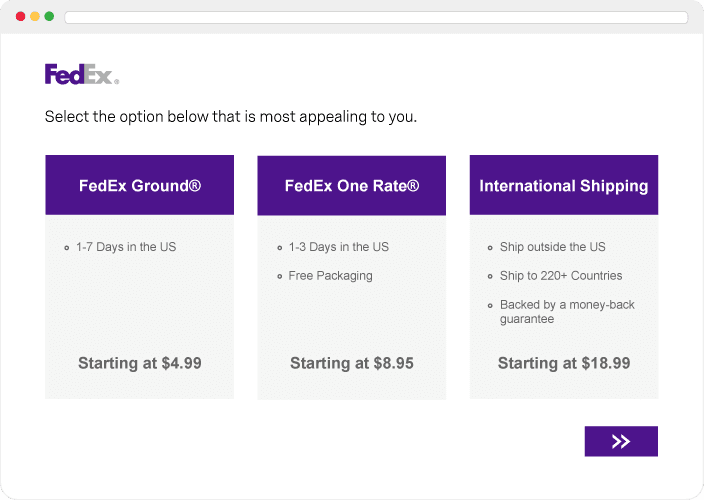 Take action based on the value associated with each customer type. Take your level of understanding beyond "who is buying" to truly understand "why they are buying." Dive into the behaviors and habits that influence purchase decisions. Put everything into perspective by gaining an understanding of where you stand in relation to your competitors. Capitalize on key business differentiators and identify gaps in products and services. Monitor industry and market trends to capitalize on emerging opportunities. Understand how customers are experiencing your mobile site and apps and make improvements based on customer feedback. Test new products, styles, experiences, promotions, or features to quickly understand how they can positively affect the customer experience across the entire journey and through every channel. Gather customer feedback on new products and services early in the development cycle to save time and money. Easily track brand perceptions and awareness. Capitalize on strengths while addressing weaknesses. Whether in the office or in the field, your employees are the greatest source of innovation for your brand. Make sure they’re fully engaged in their work. Ensuring that employees’ goals are linked to steps in the customer life-cycle shows them that their contributions matter. Also, gathering feedback on your training and incentive programs helps you develop competitive programs that position you as an employer of choice. Qualtrics puts powerful tools in your hands to ensure you attract and keep the people who deliver the highest quality products and best experience for your customers. 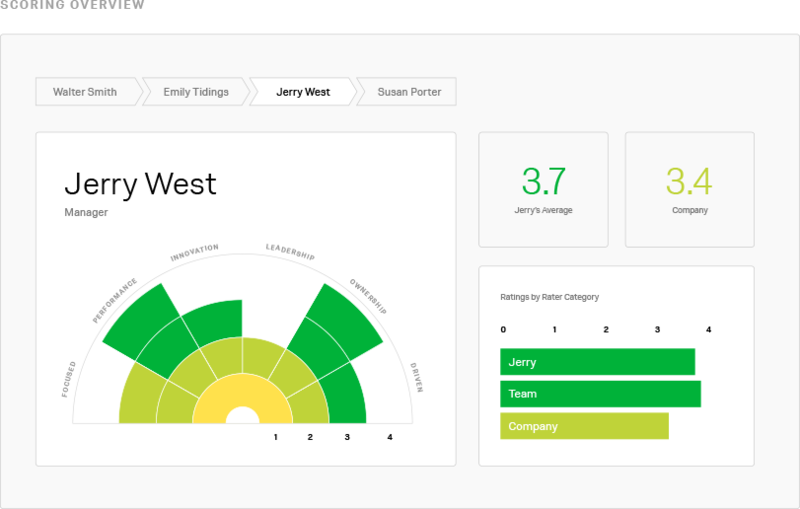 With customizable, role-based dashboards you can compare employee performance and engagement across departments, or drill down to view specific insights about individual employees. Identify which levers to pull to increase employee engagement across your organization. Customizable 360 reviews provide additional perspective for understanding how employees are contributing to their teams. Find out what skills your employees would like to learn so they can grow within your company. Find out how to improve and tailor the onboarding process so every employee can hit the ground running and easily integrate. Discover why employees leave and pinpoint areas for improvement to help you retain and build a stronger workforce. Immediately gather participant feedback and make fast, data-driven changes to your programs. Uncover product needs, prioritize features, and predict market trends. Drive employee excellence by measuring and optimizing every stage of the employee lifecycle.